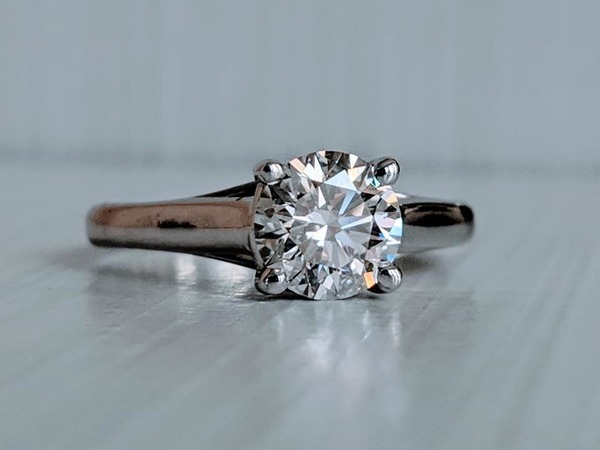 This *perfect* round brilliant diamond is just shy of a full carat (0.94 ct) and it's utterly breathtaking.Set in 14k white gold. Currently a size 5.5 but sizable to any size you need. Comes with full diamond certification, laser inscribed for easy authentication and identification. This is a lab grown real diamond.